What will we get with WordPress 3.4? Published on: April 10, 2012 · In WordPress · With 3 Comments on What will we get with WordPress 3.4? WordPress 3.4 Beta was released next week, and it is a good time to see what to expect from new version. Right from the start, I must say that I am disappointed with current development of WordPress and that this new version makes even previous WordPress 3.3 looks good. Old theme preview feature is now gone, and it is replaced by customizer. It will open a theme for preview (new window/tab in browser) and it will show the sidebar frame where you can change few things. This works with any theme, but if your theme doesn’t have direct support for features supported by customizer, you will see only options to change front page and site title. Themes like Twenty Ten and Twenty Eleven will allow changing background, header and navigation. This is interesting feature that is few years too late. 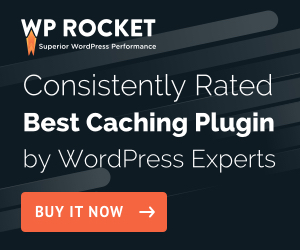 All good WordPress theme (all premium and most of the free ones), already have their own frameworks, their own settings and customization panels. They all have so many customization power that using the Customizer is really pointless. Theme searching is improved (again), making a very useless option a bit better for some reason. It can get themes from WordPress.org only, and that’s it. For most users it is completely useless. How many times users really change their themes? So much time is spend on making things in WordPress Core that will be used very, very rarely. Most WordPress websites use custom themes, or premium themes anyway. Translation files are split differently than before to allow for better flexibility and to have performance improvements when loading translations. There are many small improvements to localization, and all that is aiming to make WordPress easier to translate. Detection of RTL languages is improved also. Old set of functions working with themes is now completely replaced with new API to deal with themes. All old functions are now deprecated. New API relies on class that are now easier to use and most importantly aim to improve WordPress overall performance. Problem with all this is that if you use old functions in your plugins, you need to continue to use them for compatibility with old WordPress versions, making new API pretty much useless as long as plugins must be backward compatible. There are some multi site improvements added with installation and searching, images captions support HTML now, XML-RPC is improved and comments management works from the post editor. But best features in this version is the click on empty part of toolbar, that scrolls screen back to the top. How does WP 3.4 Beta 1 feel? One of the things announced for this version is speed improvements and lower memory usage. But, with this current beta 1 that is not the case. I did some preliminary testing, and WordPress 3.4 Beta 1 uses 2-4% more memory than WordPress 3.3 did and 3-7% more than WordPress 3.2. As for the speed, situation is similar and WordPress 3.4 Beta 1 is slower than earlier versions of WordPress. Right now, I am hopping that this is only because we have just entered beta stage, and that in the next month leading to release of stable WordPress 3.4 this will improve. If things stay the same as they are now, it is not looking good from performance standpoint. Other than this, WordPress 3.4 is in normal use, the same as previous WP 3.3. If you don’t get to change your theme you will not even see the only new feature in this version. I bet that only thing you will use all the time is click on the toolbar. If the development of WordPress Core was done right, 50% of the features in this version would never been made at all, and the other 50% would be only a small part of much better release that would take a year or so to make, and not be rushed in couple of months. But, as it looks right now, we will continue to get new WordPress every 4-5 months with features that are rarely used. Right now I only hope that WP 3.5 will get at least some changes to media manager, I have lost hope on seeing some really important things any time soon. Have you tried Beta 1 yet? Leave the comment with your experience with it. I’ve been running (live) 3.4 since about mid-alpha … I was not really impressed. Now that the latest version is 3.4-beta2 and I have “fixed” all of my themes and some of my plugins that it broke … I am still not really impressed. I imagine the core developers will argue all these changes are good and relevant, but from an end-user’s perspective (as you appear to be reviewing from) I would agree, the core developers could have spent their time and energies on something more immediately “useful”. Not every release is going to have Killer New Features. Nor should it. Sometimes, the devs need time to plan and stage the groundwork for future features. I would like to see more details on your memory and speed profiling. I haven’t tried to measure any of that myself, but I can’t say that I’ve noticed any significant difference either way. The memory/speed improvements might be something that only shows up under certain configurations or types of requests? Preliminary memory/speed measurements for Beta 1/2 show that WP 3.4 is slower than WP 3.3 and uses more memory. But, as always, I will wait for final release to make detailed measurements.